From November through December 2013, CDC has received a number of reports of severe respiratory illness among young and middle-aged adults, many of whom were infected with influenza A (H1N1) pdm09 (pH1N1) virus. Multiple pH1N1-associated hospitalizations, including many requiring intensive care unit (ICU) admission, and some fatalities have been reported. The pH1N1 virus that emerged in 2009 caused more illness in children and young adults, compared to older adults, although severe illness was seen in all age groups. While it is not possible to predict which influenza viruses will predominate during the entire 2013-14 influenza season, pH1N1 has been the predominant circulating virus so far. For the 2013-14 season, if pH1N1 virus continues to circulate widely, illness that disproportionately affects young and middle-aged adults may occur. Seasonal influenza contributes to substantial morbidity and mortality each year in the United States. In the 2012-13 influenza season, CDC estimates that there were approximately 380,000 influenza-associated hospitalizations. Although influenza activity nationally is currently at low levels, some areas of the United States are already experiencing high activity, and influenza activity is expected to increase during the next few weeks. The spectrum of illness observed thus far in the 2013-14 season has ranged from mild to severe and is consistent with that of other influenza seasons. While CDC has not detected any significant changes in pH1N1 viruses that would suggest increased virulence or transmissibility, the agency is continuing to monitor for antigenic and genetic changes in circulating viruses, as well as watching morbidity and mortality surveillance systems that might indicate increased severity from pH1N1 virus infection. In addition, CDC is actively collaborating with state and local health departments in investigation and control efforts. CDC recommends annual influenza vaccination for everyone 6 months and older. Anyone who has not yet been vaccinated this season should get an influenza vaccine now. While annual vaccination is the best tool for prevention of influenza and its complications, treatment with antiviral drugs (oral oseltamivir and inhaled zanamivir) is an important second line of defense for those who become ill to reduce morbidity and mortality. Antiviral treatment is recommended as early as possible for any patient with confirmed or suspected influenza who is hospitalized; has severe, complicated, or progressive illness; or is at higher risk for influenza complications. The risk of severe disease and complications from influenza is higher among children younger than 5 years of age, adults aged 65 years and older, pregnant women, and those with underlying medical conditions. In most influenza seasons, the majority of influenza-associated hospitalizations and deaths are among adults aged 65 years and older . However, during the 2009 pandemic, pH1N1 caused more illness in children and young adults than in older adults . This was likely due in part to protection in older adults provided by cross-reactive immunity to pH1N1 caused by prior infection with antigenically-related viruses. The pandemic also was notable for reports of severe illness among pregnant women infected with pH1N1 and adverse neonatal outcomes . Early observations from the 2013-14 influenza season indicate that some persons infected with pH1N1 virus have had severe illness. While most of these people with severe illness have had risk factors for influenza-associated complications, including pregnancy and morbid obesity, several have not. CDC recommends annual vaccination as the best tool for prevention. However, for persons with suspected or confirmed influenza, treatment with neuraminidase inhibitor antiviral drugs (oral oseltamivir and inhaled zanamivir) can be an important component of clinical care. Evidence from past influenza seasons and the 2009 H1N1 pandemic has consistently shown that treatment with antiviral medications reduces severe outcomes of influenza when initiated as soon as possible after illness onset. shorten the duration of hospitalization. Clinicians should encourage all patients 6 months of age and older who have not yet received an influenza vaccine this season to be vaccinated against influenza. There are several flu vaccine options for the 2013-2014 flu season (see http://www.cdc.gov/mmwr/preview/mmwrhtml/rr6207a1.htm?s_cid=rr6207a1_w#Tab1), and all available vaccine formulations this season contain a pH1N1 component; CDC does not recommend one flu vaccine formulation over another. CDC guidelines for influenza antiviral use during 2013-14 season are the same as during prior seasons. Clinical benefit is greatest when antiviral treatment is administered early. When indicated, antiviral treatment should be started as soon as possible after illness onset, ideally within 48 hours of symptom onset. However, antiviral treatment might still be beneficial in patients with severe, complicated, or progressive illness, and in hospitalized patients and in some outpatients when started after 48 hours of illness onset, as indicated by clinical and observational studies. Antiviral treatment can also be considered for suspected or confirmed influenza in previously healthy, symptomatic outpatients not at high risk on the basis of clinical judgment, especially if treatment can be initiated within 48 hours of illness onset. Clinical judgment, on the basis of the patient’s disease severity and progression, age, underlying medical conditions, likelihood of influenza, and time since onset of symptoms, is important when making antiviral treatment decisions for outpatients. Decisions about starting antiviral treatment should not wait for laboratory confirmation of influenza. Rapid influenza diagnostic tests (RIDTs) have limited sensitivities and predictive values; negative results of RIDTs do not exclude influenza virus infection in patients with signs and symptoms suggestive of influenza. 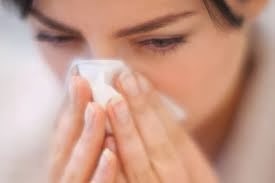 Therefore, antiviral treatment should not be withheld from patients with suspected influenza, even if they test negative. While influenza vaccination is the best way to prevent influenza, a history of influenza vaccination does not rule out influenza virus infection in an ill patient with clinical signs and symptoms compatible with influenza.